Rising hot welterweight contender Rashidi “Speedy” Ellis (20-0, 13 KOs) of Boston, Mass. 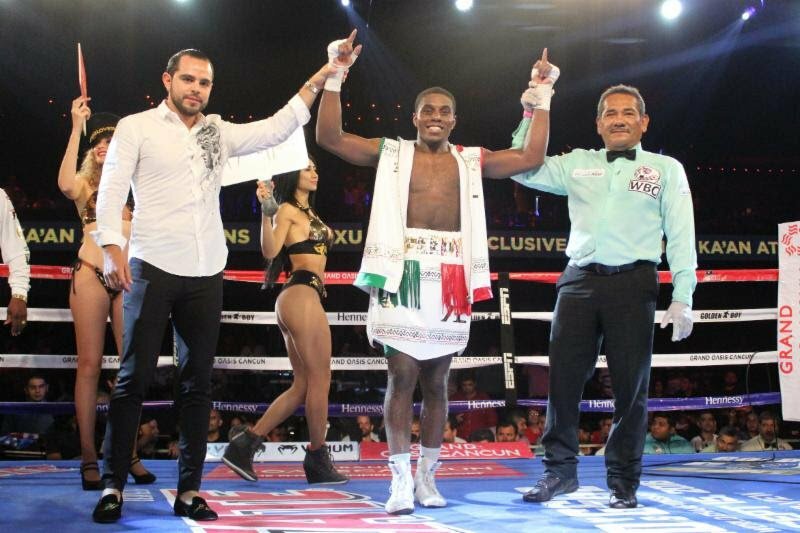 scored a 10-round unanimous decision victory against rugged Panamanian warrior Alberto “Metralleta” Mosquera (25-4-2, 16 KOs) in the main event of the June 29 edition of Golden Boy Boxing on ESPN at the Oasis Arena in Cancun, Quintana Roo, Mexico. Ellis won with scores of 97-92, 98-91 and 98-91. For more information, visit www.goldenboypromotions.com and http://www.espn.com/boxingollow on Twitter @GoldenBoyBoxing, @OscarDeLaHoya, @ESPN, and @ESPNBoxeo; become a fan on Facebook at www.Facebook.com/GoldenBoyBoxing; and follow on Instagram @GoldenBoyBoxing and @OscarDeLaHoya. Follow the conversation using #GBPonESPN and #EllisMosquera.